They say that we got hit by the tail-end of a hurricane during GUKPT Blackpool week, but to be honest the weather didn’t seem much different to any of the other seven or eight times I’ve been for what was the Northern Lights Festival and latterly the GUKPT. Bad Beat Infographic – The best of the worst? Whether you play poker just with friends, at small tournaments in a casino or online – everyone’s come across a bad beat or two. Bad beats can quite subjective though – if it happens to you it can often feel like a ‘bad beat’ but it’s possibly just a beat, flip or maybe even a cold deck. So we’ve scoured the web to find a selection of hands that fit the bad beat mould but could still be the subject of some great discussions. Tell us what you think about any of these by visiting the Grosvenor Casinos Facebook page or head over to find Grosvenor on Twitter. 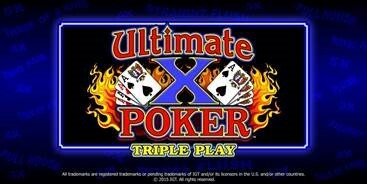 Ultimate X Poker released on Desktop! If you love video poker, take a swing at our Ultimate X Poker game available in Triple Play, Five play and Ten play – now on Desktop! For a truly incomparable poker experience with thrilling multipliers and the chance to play multiple hands, Ultimate X Poker is exactly what is says… it is the ultimate way to play poker. Find more of about playing poker with us here, or for a list of all our available games, take a look over at our site.